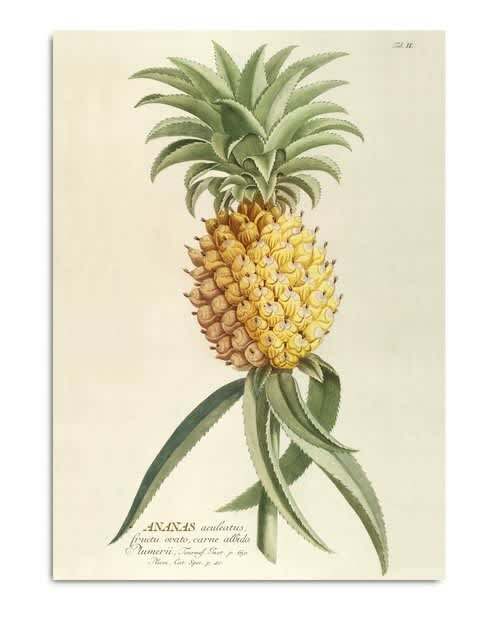 This wonderful botanical pineapple print brings an exotic botanical atmosphere to any home. The original image dating back to early 1800s. It has been lightly digitally restored. Scratches and holes removed and the palm is now ready to be framed and hung from your wall. Elizabeth James in Bristol, United Kingdom.